Michael Piehler directs the UNC Institute for the Environment. 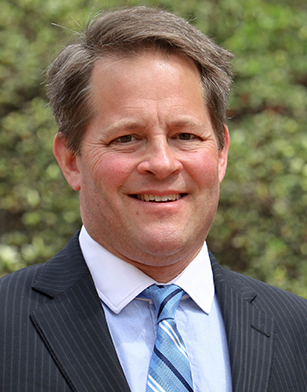 He also serves as professor at the UNC Institute of Marine Sciences, holding joint appointments in the College of Arts and Sciences’ Department of Marine Sciences and the Gillings School of Global Public Health’s Department of Environmental Science and Engineering. Piehler received his Ph.D. in Environmental Science and Engineering from UNC. His research concentrates on the ecology and biogeochemistry of land-water interfaces, in particular on understanding the connection between human activity and the function of natural systems. His recent studies have explored land use impacts on coastal stream carbon and nutrient loading, the effects of oyster reefs on nutrient dynamics, and denitrification in tidal marshes. Piehler advises a variety of scientific panels for governments, non-government organizations, and industry, and a diverse portfolio of federal, state, and regional sponsors have funded his work, including North Carolina Sea Grant. His Sea Grant activities have involved leading core research projects and minigrants, as well as mentoring student fellows. He also was one of the first recipients of a Community Collaborative Research Grant, a successful partnership with the City of Jacksonville. He joined North Carolina Sea Grant’s advisory board in Summer 2018.